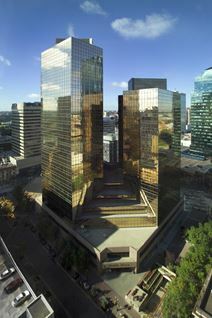 Situated in the government district of downtown Edmonton these fully furnished and state of the art executive suites and open-plan offices are ideally located within a dynamic business community, which is significantly perceived as the main corporate hub of the region and features some of the very best standard amenities, local services and sites of interest and entertainment. The local transport links are also excellent and very convenient, with frequent road and rail networks in operation. 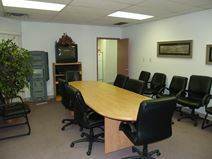 Located in a Class A building in the locally renowned an commercially prestigious South Edmonton district, close to the region's main airport and a range of highly convenient and frequent transport services, this premium office centre provides serviced office suites and professional workspace solutions that are ideal for businesses who work either domestically or internationally, as well as being ideally suited to cater for any form of business requirement. Centrally located in Edmonton, this exquisitely furnished corporate building offers first-class offices modernly decorated and technologically equipped meeting rooms. These offices can be tailored in their size to accommodate your needs and benefit from high quality secretarial and reception services. The building enjoys a strategic location and is surrounded by numerous companies, shops and restaurants. 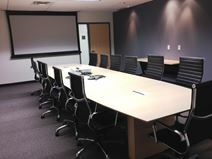 On the 14th floor of this landmark and prestigious downtown Edmonton building, this flexible and professional business center provides an eye-catching location for any professional or corporate business workspace requirement that will provide a great first impression to both guests and clients alike. Situated in close proximity to a number of fantastic amenities including shops, restaurants, hotels and bars; the center also benefits from the area's excellent local transport links. This center offers stylish, light and comfortable serviced offices in the tallest building in the city. The cutting-edge design is complimented by the newest in high-tech infrastructure. Clients will also benefit from the many shops and eateries on-site. This center is superbly located in Downtown Edmonton, with great access to public transport, secure parking and many other businesses and amenities. Presenting a modern selection of executive suites will contemporary interiors and full business amenities in booming West Edmonton. The West Edmonton Mall and various other shopping centers and restaurants are all only a few minutes’ away. These offices to lease are located convenient to several major transport links, which offer many frequent services in operation across the wider region, making the site easily accessible for commuters.